In a world where many struggle to access the nutrition they need to survive, how is it possible that we humans are throwing away perfectly good food – approximately 1.3 BILLION tonnes of it every year? Put another way, a staggering 1/3 of all food produced globally is wasted annually. And you can bet a pretty penny that the bulk of that waste is coming from first world countries. It’s a serious issue that has serious ramifications. Beyond the fact that we shouldn’t be throwing out food when there are starving people in the world, food that ends up in landfills releases methane gas – which has 25 times the global warming potential of carbon dioxide. Fortunately, there are some amazing people stepping up to the plate to stop excess food from rotting in the landfill. 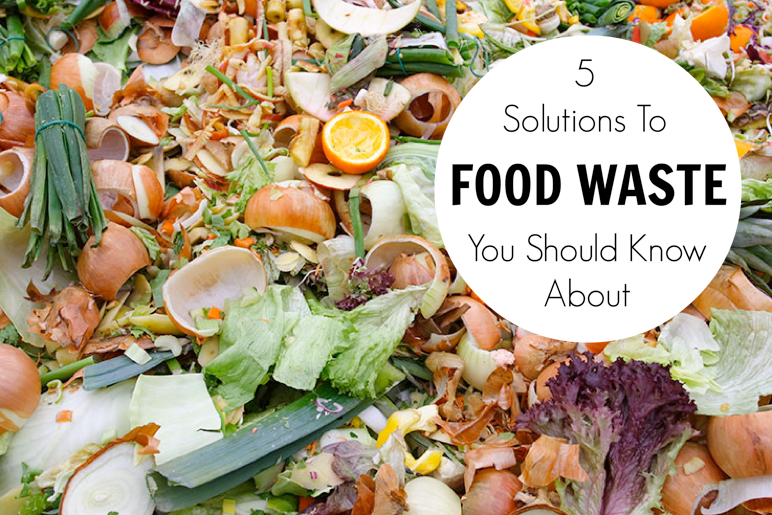 Here are 5 food waste initiatives that are changing everything – for the better. World renowned culinary artist and humanist Massimo Bottura, who is the focus of a recent documentary called ‘Theater of Life,’ found a way to make sustainable cooking one of the main attractions of the 2015 Expo Milano: he transformed an abandoned theatre into a soup kitchen and used 15 tonnes of food waste from the Expo to feed refugees, the homeless and the working poor. He invited 65 top chefs from around the globe to participate in the experiment and when they were finished, the food that was headed for the rubbish bin from the exposition’s pavilions was turned into 10,000 meals. They repeated the successful experiment once again during the Olympic Games in Brazil this year, tackling the hunger problem in Rio de Janeiro by taking surplus food from from the Olympic Village and serving up 5,000 meals per day to impoverished residents. WOH. Chef Massimo Bottura is the subject of Planet in Focus Film Festival’s Opening Night film Theater of Life (2016). Join us to watch the film and for the Q&A with the director and special guests following the screening. There will also be an After Party with beer provided by Steam Whistle and wine provided by Modello Masi with hors d’oeuvres prepared from Food Waste. The announcement of the opening of a Food Waste Supermarket in the UK highlights another fantastic initiative seeking to marry excess food with the problem of hunger. 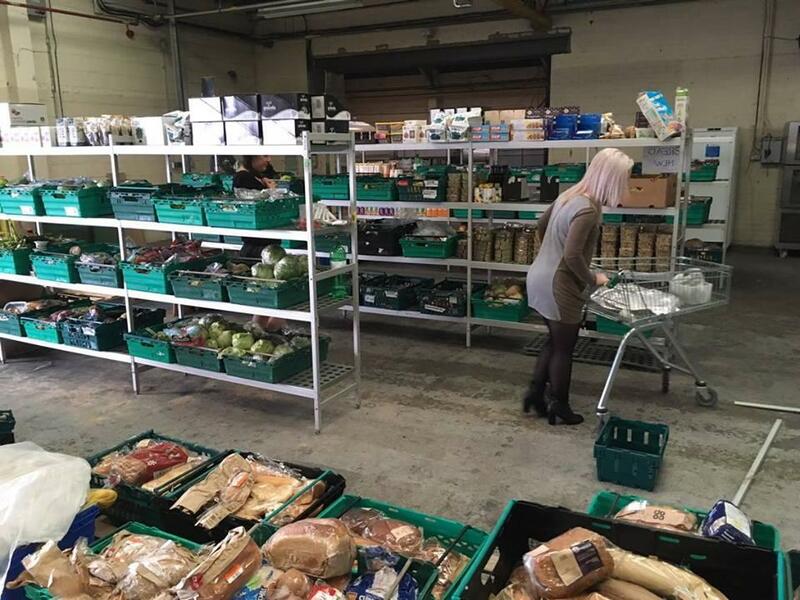 Food waste campaigners Real Junk Food Project have opened ‘The Warehouse,’ where customers are able to purchase food thrown out by other supermarkets and businesses on a ‘pay what you can’ basis. The effects of The Warehouse are already being felt in the community: read about this beautiful initiative here. This is most definitely a project that needs to spread around the world – and they already are. WeFood, the organization that opened the world’s first food waste supermarket, has two more planned for Denmark. 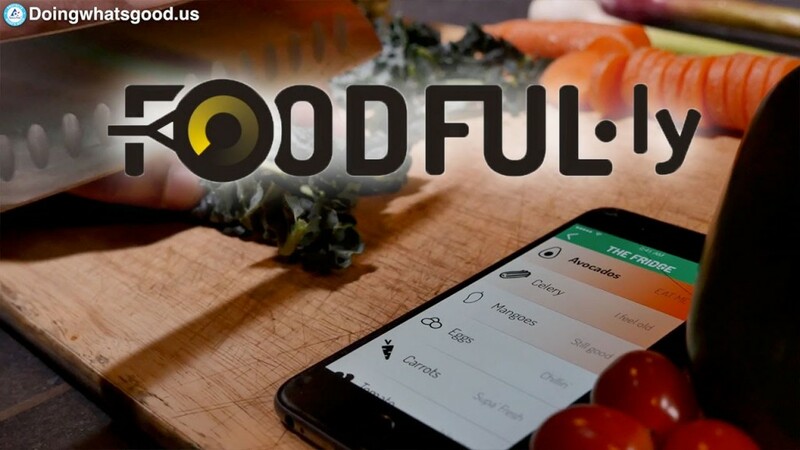 This one tackles food waste in the home, where a surprising amount of food tossing takes place – apparently half of the 27 billion dollars worth of food wasted in Canada comes from homes. In Toronto alone, single-family households are throwing out about 275 kilos each year. But forget about the lettuce and half-eaten tub of strawberries in the back of your fridge no more! There’s an app for that and it’s called Foodful.ly, which keeps track of your grocery purchases to help you remember what’s in your fridge and needs to be eaten. And how it’s oh-so-easy to use: all you have to do is take a picture of your grocery list and this genius little app tracks the lifespan of each purchase while sending reminders to eat it before it goes bad. Helpful app that it is, Foodful.ly also sends you recipe suggestions for what to do with the various items coming up for expiration that you’re unsure of what to do with. Get Foodful.ly now and start saving on food waste! France and Italy became the envy of zero waste proponents all over the world when they passed a law making it illegal for supermarkets and grocery stores to throw out unsold food. 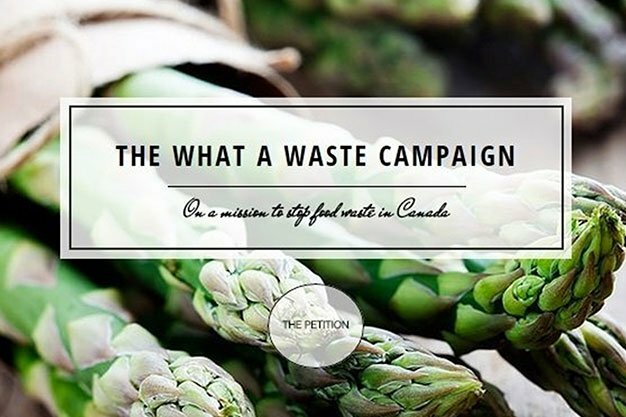 #WhatAWaste is a social media campaign inspired by this move to bring the same law to the books in Canada, urging the Canadian Government to force supermarkets to donate unsold products to local charities, food banks or farms for animal feed/compost. 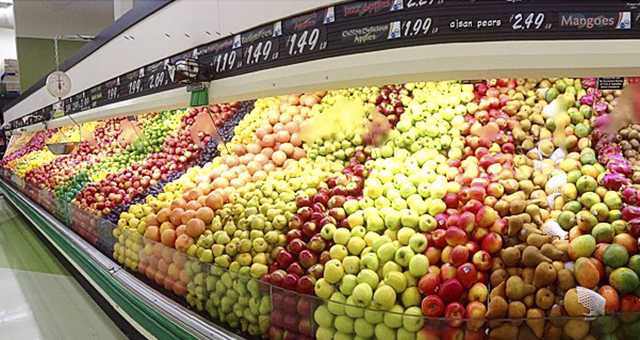 This would make it illegal for grocery stores to throw away or destroy left over food that is not fit for sale. Sign the petition here. Couple this concept with the Food Waste Grocery Stores mentioned above and you have a serious solution to our throw-away culture. YES. PLEASE. How do plastic and packaging-free grocery stores fit into a reduction in food waste? They allow consumers to only buy what they need in their own re-usable containers rather than forcing customers to purchase a pre-determined amount of something wrapped in plastic. This way, consumers don’t have to buy more than what they really need for whatever meal they’ve got planned. Zero Waste Grocery stores mean less of a chance for food to go bad in the fridge. Zero Waste Market from Vancouver, B.C. has been championing this movement in Canada and now Montreal has just seen it’s first Zero-Waste Grocery store open. Let’s hope these start spreading across the country and around the world! The Opening Night Gala for the 17th annual Planet in Focus Environmental Film Festival is dedicated to the issue of food waste, where we will be screening a documentary called ‘Theater of Life‘ that follows Massimo Bottura’s Food For Soul project to combat hunger with food waste. We will be joined by the director of the film, Peter Svatek, along with several special guests for a discussion and Q&A – including Chefs Jamie Kennedy and Joshna Maharaj. As well, the reception will feature food prepared by George Brown Chef School using food waste ingredients. Join us for #PIF2016 Opening Night on October 20th!